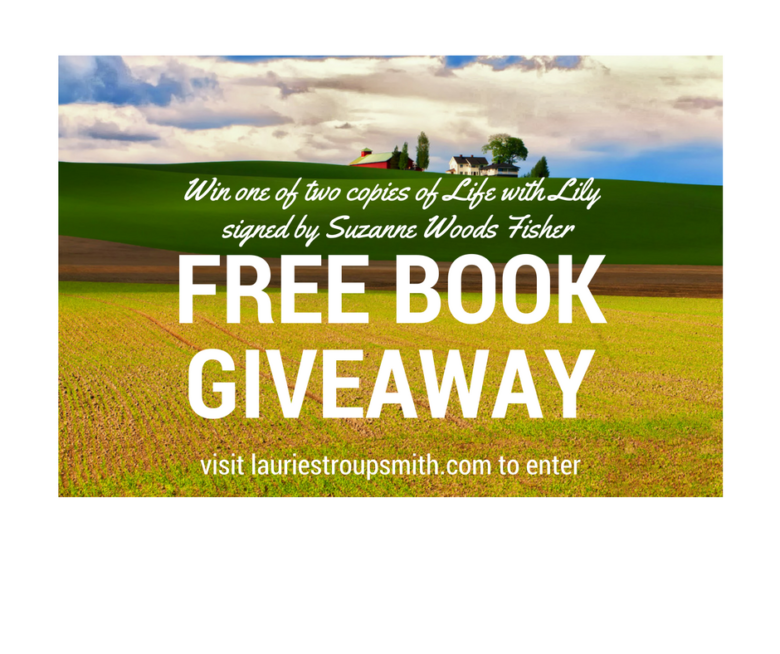 For this giveaway, Suzanne Woods Fisher generously offered two signed copies of the first book in The Adventures with Lily Lapp series she wrote with Mary Ann Kinsinger. Both of my daughters enjoyed these sweet tales of a little farm girl who often finds herself in trouble. Enter the giveaway for your chance to be one of two readers to win a paperback copy of your own. Based upon Kinsinger’s own childhood, it’s reminiscent of the Little House on the Prairie books. As it’s aimed at 8- to 12-year-olds, older readers may find the story’s flow awkward, but the humor and wonderment of childhood is worth the read. Lily enjoys the adventures of each new day. Whether it is facing a mean new teacher or sneaking out of the house instead of taking a nap, she is a bundle of activity. As you travel with her, you’ll learn the Amish way of life. 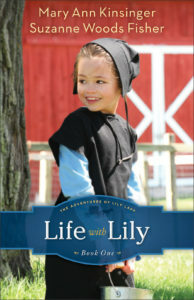 The first of four charming novels that chronicle the gentle way of the Amish through the eyes of a young girl, Life with Lily gives children ages 8-12 a fascinating glimpse into the life of the Amish—and lots of fun and laughter along the way. It combines the real-life stories of growing up Amish from Mary Ann Kinsinger and the bestselling writing of Amish fiction and nonfiction author Suzanne Woods Fisher. With charming illustrations throughout, this series is sure to capture the hearts of readers young and old. Giveaway begins Monday, September 26, 2016, and ends Monday, October 3, 2016, at 11:59 PM EST. Open to Residents of the US only. Prizes cannot be shipped to PO Boxes. Two winners will be selected by Rafflecopter and be notified by email. In addition, winners will be posted on lauriestroupsmith.com on Tuesdsay, October 4, 2016. Winners have 48 hours to respond before a new winner is selected. The product offered for the giveaway is free of charge, no purchase necessary. My opinions are my own and were not influenced by any form of compensation. Facebook, Twitter, Instagram, and Pinterest are in no way associated with this giveaway. By providing your information in this form, you are providing your information to me and me alone. I do not share or sell information.